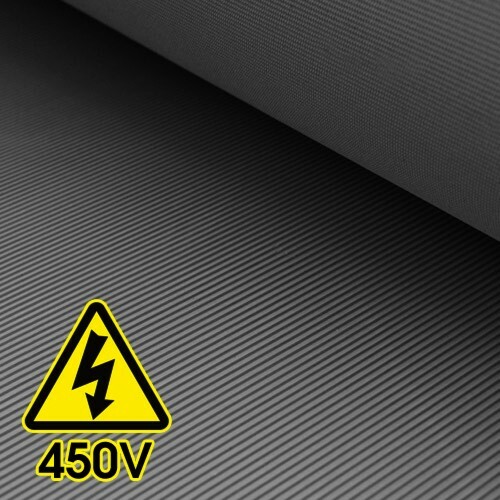 Safety working voltage of 450V and 650V. 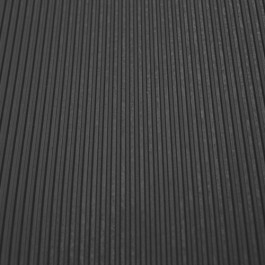 Polymax Electrical Safety Matting is designed with a non slip ribbed top surface and high grip cloth finished bottom to provide a hygienic, economical, hard wearing and an ideal anti-slip floor covering. 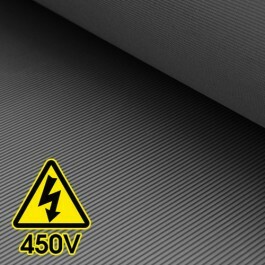 Electrical safety matting is specifically designed to use in front of electrical switchboard and high voltage equipment. It will provide safety for staff against electric shock. This material should be used in any area where a health and safety inspection identifies a risk of electric shock (or even before!). This grade of material has been tested to 11,000 Volts and has a safety working Voltage of 450V and 650V, higher safety working voltages are also available.